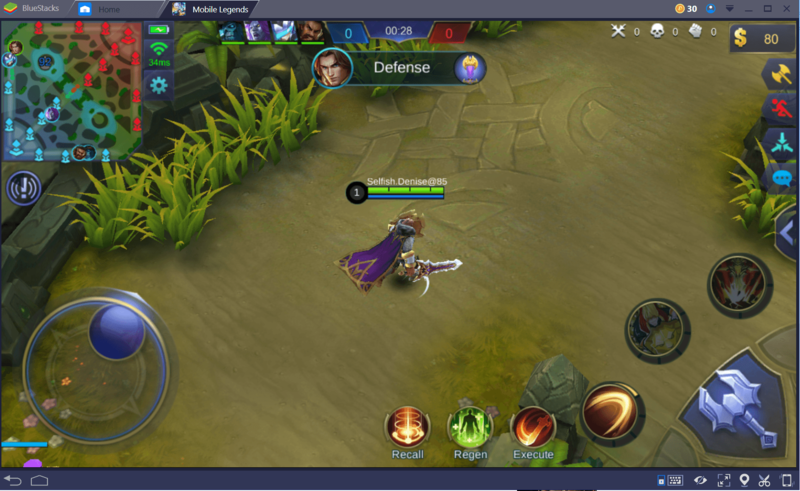 Want to learn how to win on the top lane in Mobile Legends? In this guide, we take a look at the top tips you can use to learn how to dominate the top lane every single game. 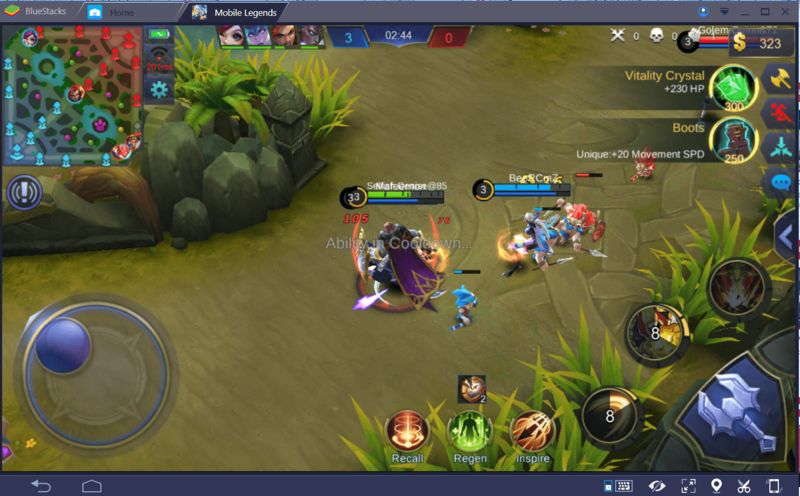 Whether you’re a Mobile Legends veteran, have come from a different MOBA, or are completely new to MOBAs, this guide will help you with new tips that’ll improve your chances to pull in a win. 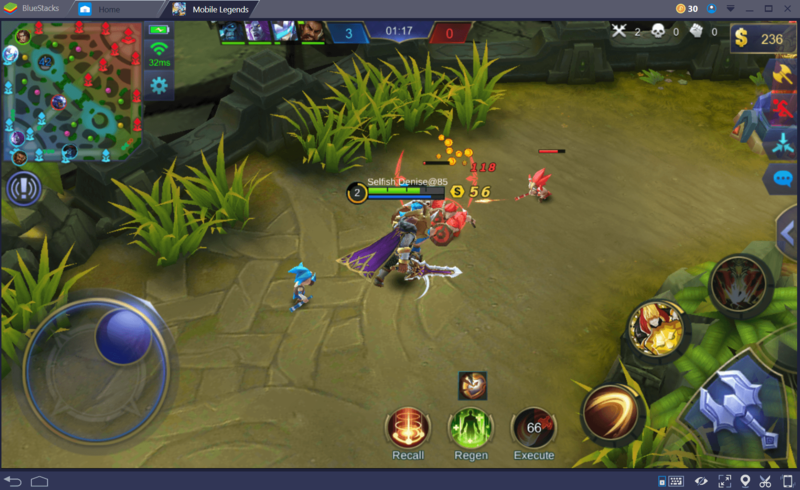 Let’s get started by first looking at what heroes are best for playing on the top lane in Mobile Legends. If you’ve got the time, you should get experience with as many top lane heroes as possible. If you’re just looking to win, however, you should put your focus into one or two top lane heroes at most and learn how to master them. Every single hero has their own playstyle, so it’s important to test them initially to find a favorite and then master that particular hero and playstyle. You’ll find it far easier to get good at playing on the top lane if you have mastered the hero you’re playing on the top lane. There are many different heroes that can work well on the top lane, but we’re going to suggest three particularly powerful top lane options. 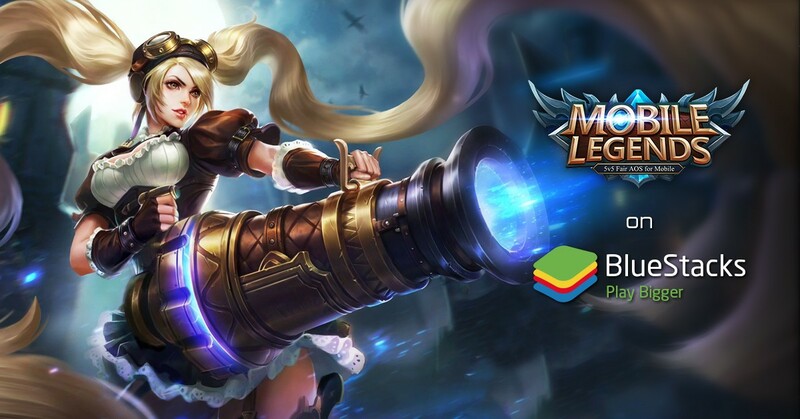 Fanny is a good top lane hero in Mobile Legends because she is a high-damage assassin that can quite quickly take down her top lane opponent. She’s more challenging to master than most heroes, but learning her can really pay off because she is incredibly powerful. With Fanny, you can gain energy simply by continuing to attack the same hero. This can be a great way to keep yourself in fights for as long as possible. Her first move, Tornado strike, makes Fanny spin her blade, dealing physical damage to nearby heroes. Her second move, Steel Cable pulls her towards the first enemy she hits with the cable. This can be a great way to initiate a fight. Her ultimate, Cut Throat, deals a massive amount of damage. If you’ve been attacking a single hero before using it, it can deal an additional 40% damage. Chou is a great fighter that has a lot of potential in 1v1 brawls. He’s a little easier to use than Fanny, but not as easy as most other heroes. Once again, this difficulty level rewards players who can learn to use him effectively. With Chou, your passive ability will make it so that after moving 8 yards, your next attack will deal 200% damage and stun the opponent for a short period. Chou’s first ability, Jeet Kune do, will make Chou punch forwards, up to three times. The first time deals damage, the second time will slow down the opponent, and the third attack will knock players into the air. Chou’s second ability is Shunpo. With Shunpo, Chou charges himself up and becomes immune to control skills for a few seconds. Chou’s ultimate is called The Way Of Dragon and with this, Chou will perform a roundhouse kick that will knock the player backward and into the air and deal damage. You can perform the skill again whilst the player is in mid-air to do even more damage. Our final suggestion for playing top lane would be Tigreal. He is very easy to use, so he is a great option for players that struggle to play heroes like Chou or Fanny. 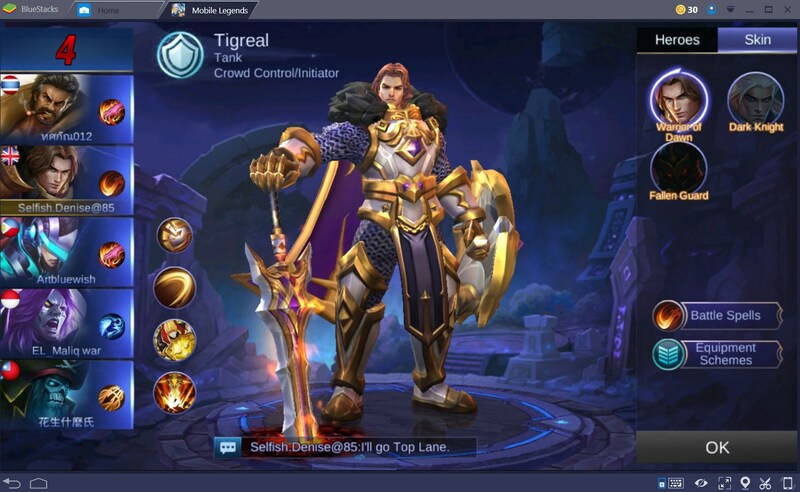 Tigreal is essentially a big tank with a lot of crowd control potential. Tigreal’s passive is called Fearless. With this, each consecutive attack on an enemy will increase Tigreal’s physical and magic damage resistance, up to 5 times. 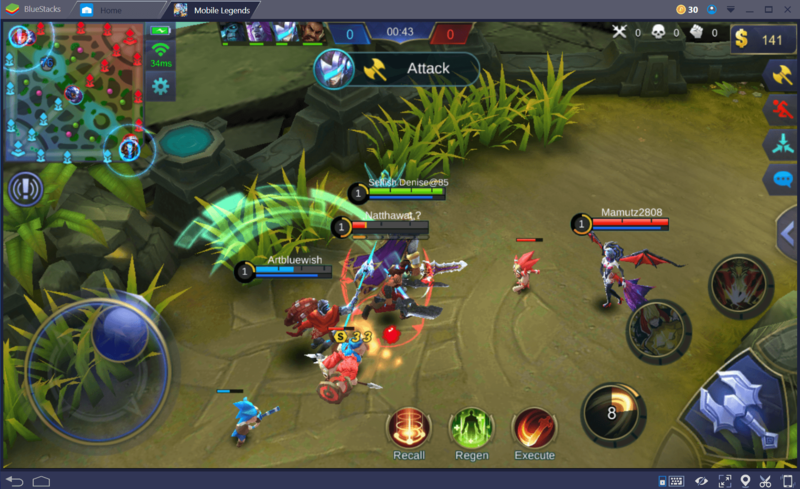 Tigreal’s first move is called Attack Wave. This can be used to fire a wave of energy in the direction you’re facing. It deals a big chunk of damage and slows enemy movement speed for 2 seconds. Tigreal’s second ability is called Sacred Hammer. This can be used to charge Tigreal towards the direction he is facing. If you hit into a player, you can cast it again to deal damage and knock a player into the air. Tigreal’s ultimate ability, Implosion, makes Tigreal force his sword into the ground, pulling in enemies nearby. Any players in the radius of this ability will be pulled in towards Tigreal, damaged, and stunned. 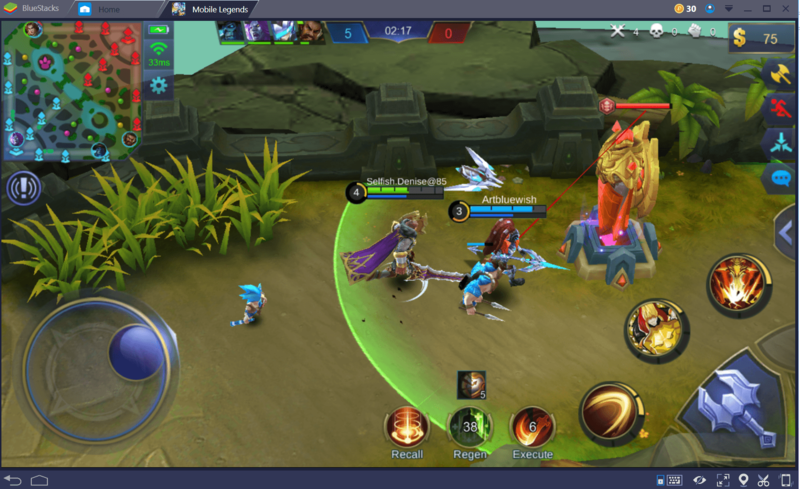 If you’re new to MOBAs, we’d suggest starting with Tigreal. He has a number of easy to use abilities and high health, making him a great top choice with little difficulty to master. If you’re an experienced MOBA player, you’ll get the most out of playing either Fanny or Chou. The first step to winning top lane is to focus on your farm. This is true for any lane you play on in Mobile Legends. The more farm you have, the bigger advantage you’ll have over the opponent you’re facing in the top lane. There’s a surefire way to make sure you get more farm in the top lane – follow the two tips below and you’ll be more likely to get more farm than your opponent. Always focus on last hitting your minions. If you miss the last hit, you’ll lose farm. If you see your opponent coming in to hit one of your minions to get a last hit, try to go and attack them. You need to keep this game up for the first few minutes of gameplay. Keep focusing on getting more farm than your opponent. Eventually, you’ll start to outlevel them and you can move onto the next phase of this guide. Once you’ve gained enough farm to outlevel your opponent, you can start to attack them and use your abilities more aggressively. Try to stay behind your line of minions, but keep attacking your opponent to keep lowering their health. Eventually, the top lane opponent will either have to recall, or they’ll be at such low health that you’ll be able to kill them. Once your opponent either recalls or is killed, you can then push to destroy the turret. You can essentially keep following this strategy all the way through the game until you’ve pushed through all of the turrets and reached the enemy base. Top lane heroes are very effective at split pushing towers, so the more time you spend pushing the top lane, the more farm you’ll get and the closer you’ll get to winning the game. Just keep in mind that the further you push your lane, the more likely it will be that enemy heroes will come up to gank you. Keep an eye on the minimap at all times and if any enemies are missing, push back to your tower. We hope this guide helps! 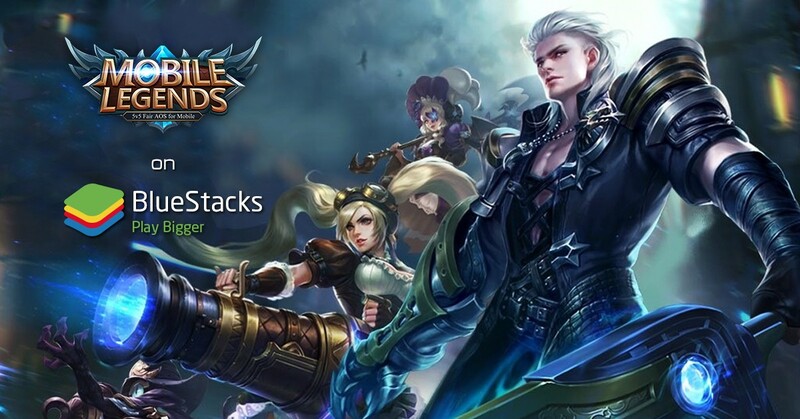 Let us know if you need any more Mobile Legends tips and guides like this.